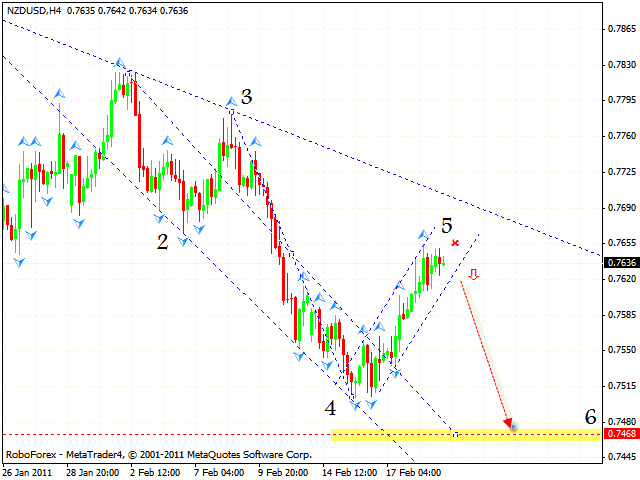 HomeFor ClientsAnalyticsForex Analysis & ForecastsForex Technical analysis and forecastsForex Technical Analysis 2011/02/22. EUR/USD,GBP/USD, USD/CHF, AUD/USD, NZD/USD Forecast FX. Forex Technical Analysis 2011/02/22. EUR/USD,GBP/USD, USD/CHF, AUD/USD, NZD/USD Forecast FX. As it is seen from the eurusd analysis the EUR/USD currency pair keeps moving inside the rising Wolfe Wave with a possible target of 1.3900. However, at the moment we should expect the correction to the level of 1.3520 and the formation of “head & shoulders” reversal pattern. The target of the growth is the area of 1.4040. One should consider selling the pair only after the price leaves the rising channel. The stop must be above 1.3720. According to the gbpusd analysis there are higher targets, but we should consider buying the pair in the area of 1.6135. At the H4 online forex trading chart we can see the formation of the rising symmetrical pattern with the target in the area of 1.6310. But if the price breaks the channel’s lower border, this case scenario will be cancelled. 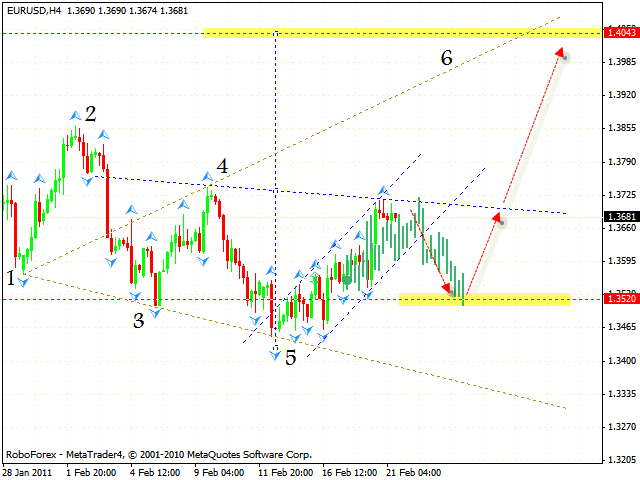 Franc is moving inside the descending channel. The target of the fall is the area of 0.9399. Judging by the technical analysis usd chf you should consider selling the pair with the tight stop near the level of 0.9552. One more possible scenario is the price breaking the channel’s upper border; if it happens, one can try to buy the pair. Australian Dollar has left the channel, and, at the moment we should expect the formation of “head & shoulders” reversal pattern. 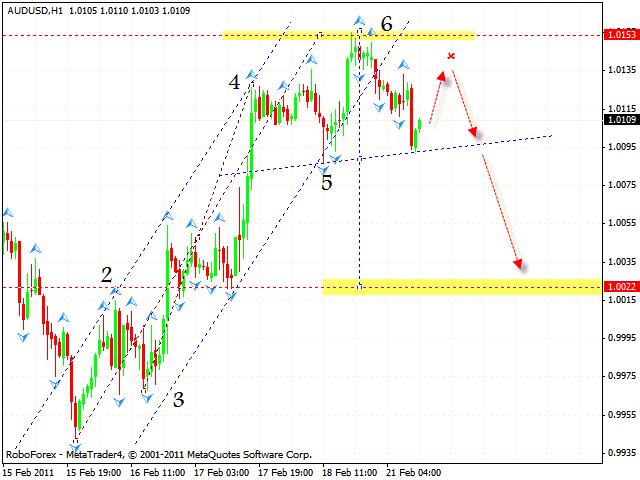 One can try to sell the pair from the area of 1.0135 with the stop above 1.0150. After the price breaks the neckline one should consider increasing the amount of short positions. 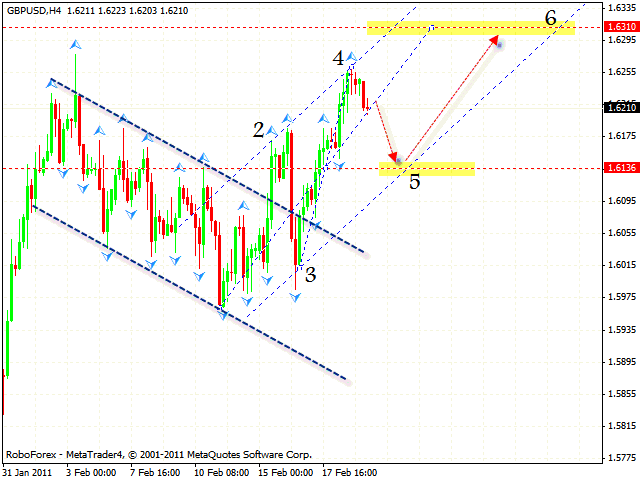 According to the aud usd analysis the target of the fall is the area of 1.0022. New Zealand Dollar has reached all the targets of the rising pattern at the H4 chart by testing the descending trend’s line at the price chart. At the moment we should expect the pair to fall to the level of 0.7468. 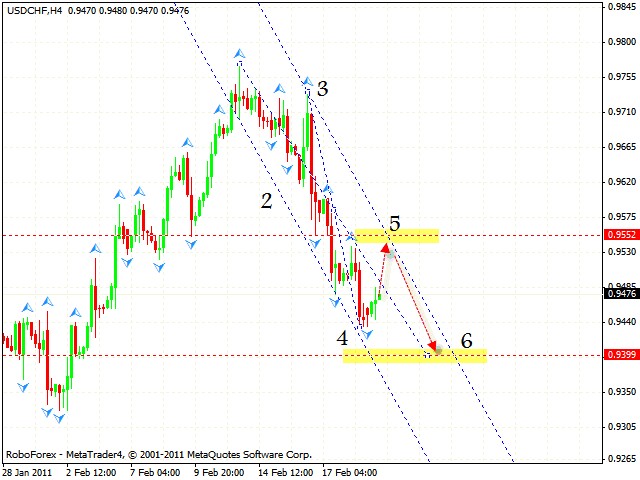 Judging by the nzdusd forecast you can consider buying it only after the price leaves the rising channel. The stop must be above 0.7655. However, if the price grows higher than 0.7690, this case scenario will be cancelled.